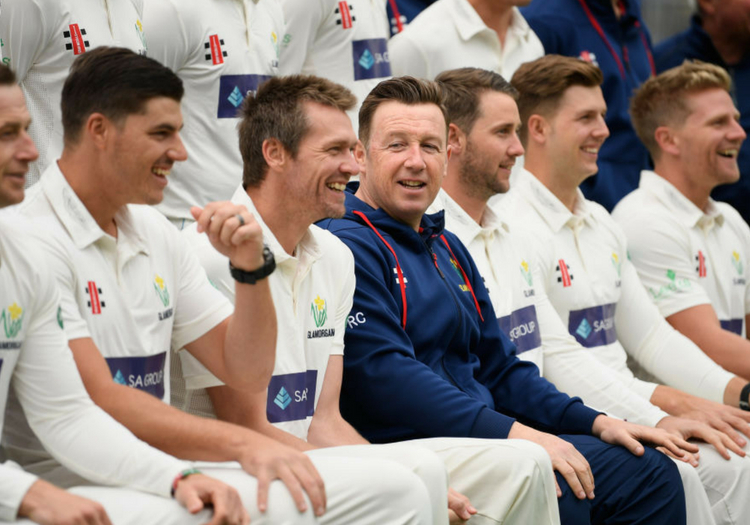 Robert Croft has backed himself and his coaching team to turn things around at Glamorgan. The Welsh county have endured a torried 2018 so far, losing five of their eight Championship matches to sit second bottom of the Division Two table. They are just two points ahead of the current basement side Gloucestershire, who have a game in hand. After the latest blow - an emphatic defeat by Sussex at Hove, where Glamorgan were bowled out twice inside two sessions - head coach Croft has stressed he is the right man for the job. "I'm confident in my skills and the skills of the support staff around me," he told BBC Sport. "It is early days for these players - we saw Kent lose in two days so it is happening [elsewhere]." "We are fully committed to making this work. We will have some dark times and we're currently in one of them, but we will work hard to get out of it." Glamorgan's policy of utilising youth has not brought the rewards Croft might have hoped it would this season but he is not about to abandon the club's plans. "These boys are having it tough and learning the hard way, it's up to us to try and manage their confidence," he said. "Back in 1997 we bowled Sussex out for 54 and 67 and six years later they're winning the County Championship, so when you take on a strategy like this, you expect some turbulence and we're going through it right now. "What we've got to do is put as much faith into these players as we possibly can, giving them opportunity and the support they need."